Today I’m sharing some of my favourites from Old Navy spring line!! The stars aligned for me to actually get some time to try on clothes, Liberty was sleeping and I had one of my older kiddos there to watch her. Amazing how good it feels just to have a few minutes alone to try on cute clothes….its the little things 😉 I have stories on my Instagram page for this try on session and I’ve added the video here as well. *I wasn’t able to find a picture of the exact colour for some of the pieces I tried on, however they are available on the Old Navy website. There were so many great Spring shirts this season, these are a few of the favourites I grabbed. Jumpers and Midi Dresses are a must this season. The best part is it’s one outfit so it takes the guess work out of styling outfits! One of the best parts about spring for me is WHITE jeans and shorts!! They just go so nicely with any colour shirt, making the colour pop, or pairing with light neutrals for a very chic look. I also included a great pair of sneakers, the light pink colour is a great one for spring and summer. Lastly a shopping trip wouldn’t be complete without grabbing Liberty a few pieces! 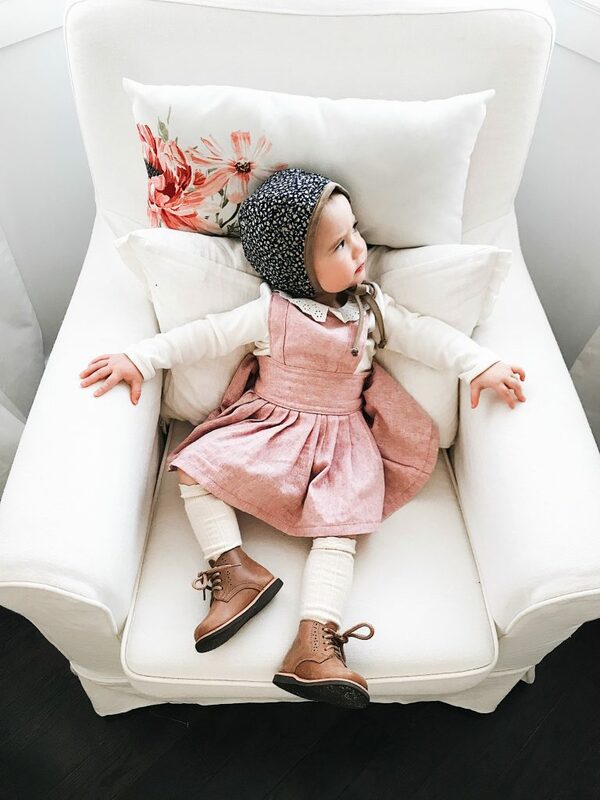 The baby pink sneakers and lightweight jacket for little ones are beyond adorable. They also brought back my favourite ruffle shirt, we use this basic under pinafores or on it’s own, it’s the perfect wardrobe staple!